Meat falling of the bones to melt in your mouth! That’s my gastronomic experience at Southern Grind Bistro with their bestselling ribs. 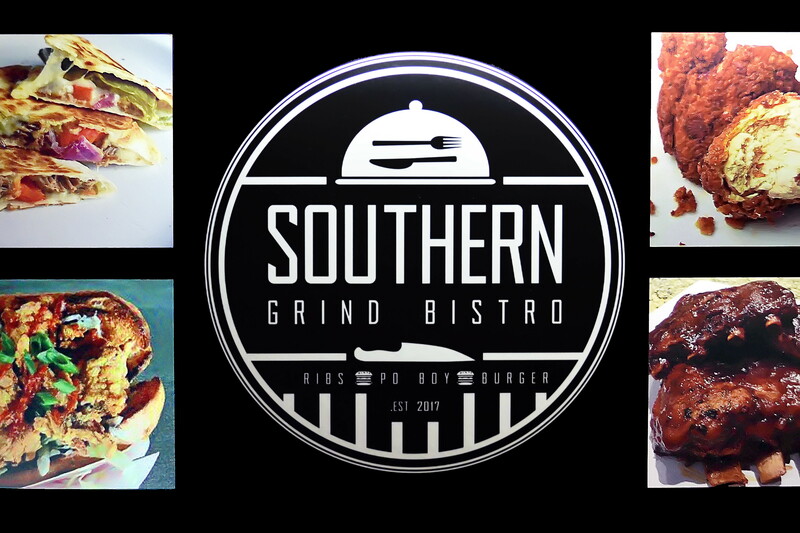 Southern Grind Bistro serves Southern America’s comfort food. One of its owners, Ton Tallon, revealed a secret. They cook their ribs for at least three hours to make sure they’re tender. They sure are!!! The St. Louis Smoked BBBQ Pork Ribs became the star of my night when I visited Space Food Park in Pasay, where Southern Grind Bistro’s stall is located. They also serve the delicious Bang Bang Shrimp Po’ Boy Sandwich. It’s made of crispy shrimps seasoned with 12 spices and special bang bang sauce, all packed in a soft buttered brioche! A po’ boy is a sandwich considered a comfort food in Louisiana usually made of fried seafood like shrimp, oysters, crab or crawfish. Another southern comfort food is the Southern Pulled Pork Tacos. Pulled pork is pork cooked slowly at low temperature so the meat becomes very tender that is can easily be “pulled”, thus the term pulled pork.